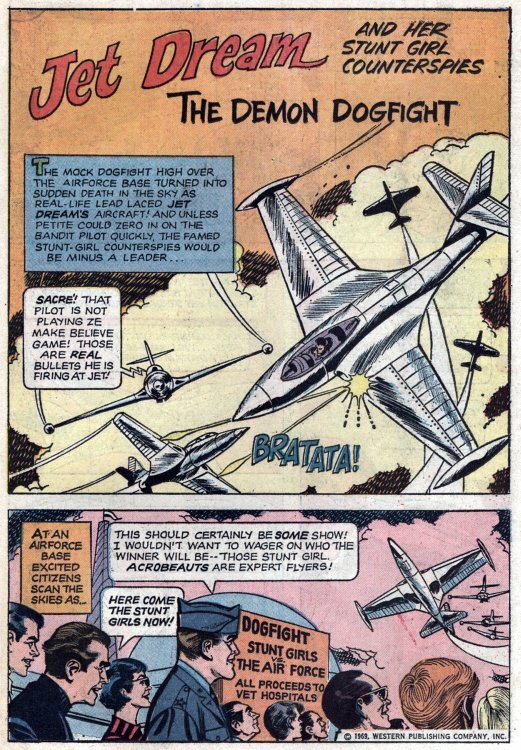 Hero Histories: Reading Room: JET DREAM "Demon Dogfight"
Reading Room: JET DREAM "Demon Dogfight"
...as a public demonstration of prowess goes awry due to evil intent! 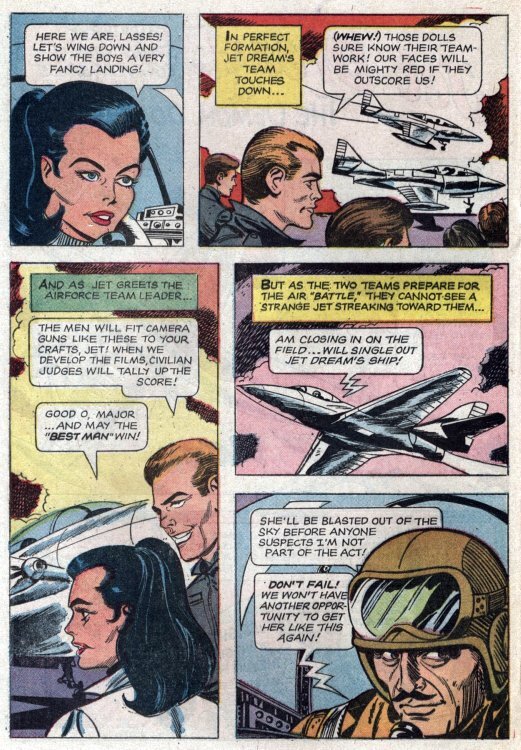 Story by Dave Wood, art by Joe Certa. 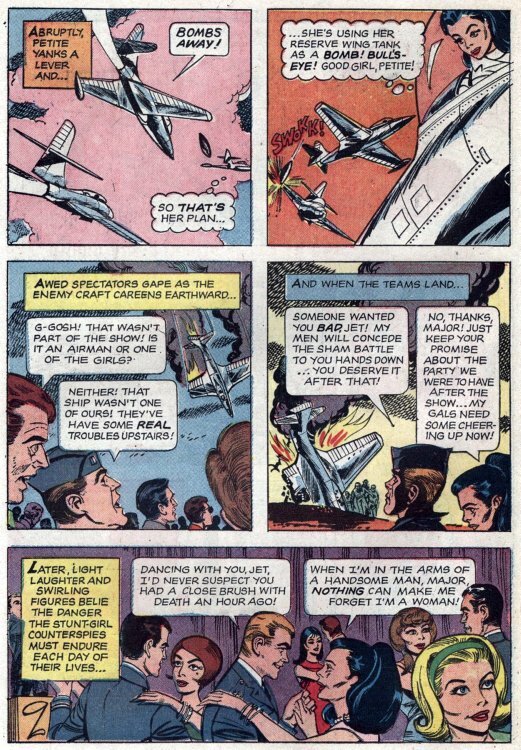 This new story from Man from U.N.C.L.E. 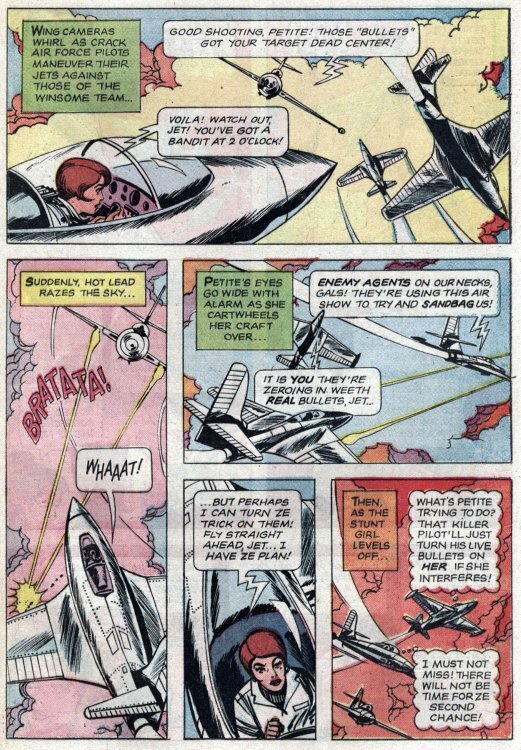 #22 (1968) backs up a reprinted U.N.C.L.E. tale, so most people (myself included) thought it was a reprint as well. 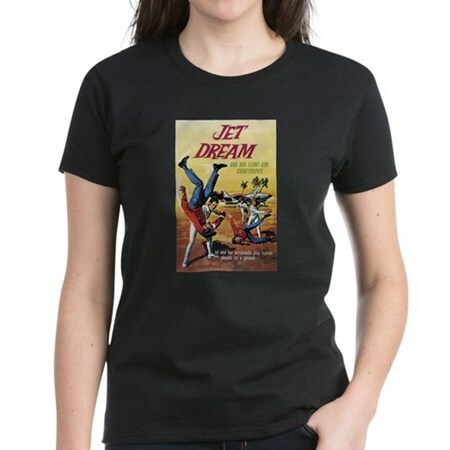 There's one more never-reprinted Jet Dream story to tell, but you won't find it here. It will appear on our "sister" blog Heroines™ blog in daily installments on the week of August 13th, along with another long-unseen tale with an unusual history! And, as of our next post, this blog's title is altering to Hero Histories™...although the feed and addy will remain the same. Reading Room: JET DREAM "Terror of Ting-a-Ling"
Reading Room: BLUE BEETLE "Loan Shark Racket"
Reading Room: JET DREAM "Fall to Freedom"
Reading Room: JET DREAM "Captive Jet"
Reading Room: BLUE BEETLE "Armored Car Robbery"